Mt Norikura Spring bus will be run from 27th April. Spring bus will be run to Kuraigahara hut from 27th April to the end of May and to Daisekkei(snowy valley)/Katanokoya(hut) from the of May. What kind of activity can we enjoy by using spring bus ?? Please see the below for the detail. 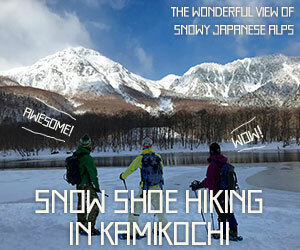 Also there are many trekking and hiking trail in Here Norikura Kogen and Kamikochi. For room reservation, please click below.